On Capitol Hill yesterday, this guy and lots of other people, they said a lot of words...and those words, they were important, to them. So, Feinberg went to Capitol Hill yesterday and did the congressional version of his town hall tour where he promised to post the methodology of how the GCCF will determine interim and final payments to the GCCF website on Tuesday of next week, and then also promised to begin making interim payments on Feb 18th. For all the claimants disappointed by denials or low payment amounts, he maintained that people who want to appeal their denial can do so by one of two ways. If their claim is worth more than $250,000 dollars, they can appeal it to the GCCF, but if their claim is less, they have to appeal to the Coast Guard’s National Pollution Funds Center. 1. He is doing the best he can. 2. He acknowledged shortcomings in the process and is trying to improve the GCCF’s transparency. 3. He’s neutral and independent; didn’t you get the chance to read the letter written by his friend that says so, the one his friend was paid to write by British Petroleum, and defended as accurate by British Petroleum’s lawyers? And that’s not all…under questioning by the likes of Sen. David Vitter and Sen Mary Landrieu, he mentioned the reason he has never come through on his previous promises of posting the calculation methodologies is because he feels the need, “to get this right.” His job is complex and hey, did you know that he has referred over 7000 fraudulent claims to the justice department? Those are the kind of things that are just gumming up the works. Sen Vitter expressed his concern about the quick payments, and how it would appear that the GCCF is spending the majority of their time handling those easy cases while the people more directly impacted by the spill have been forced to wait for much needed money. Feinberg agreed with this assessment. 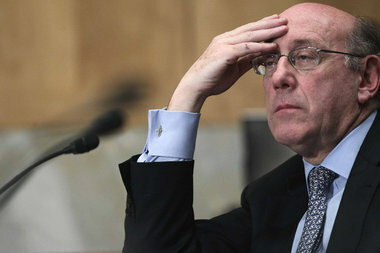 Feinberg was gracious throughout the testimony. Feinberg spun his testimony like nobody’s business, and why not? What Feinberg knew, and what any self-aware Senator at this hearing yesterday knew was simply that Feinberg is not accountable to Congress, and he would appear to feel he is not accountable to residents of the Gulf Coast, either. A lot of questions were not asked yesterday, and also far removed from much of this equation was a great deal of context. 1. The methodology he plans to post on the GCCF website on Tuesday does nothing to help the 80,000 people who have accepted quick payments. They’ve already signed away all their rights. It could also be argued that this late in the game, whereas it will be interesting to know how the GCCF will be coming up with their numbers for interim and final payments, this information should have been posted much, much earlier so the residents damaged by BP’s catastraphuk could have been making informed decisions all along. It’s kind of like having to take finals for a college course, two weeks before the semester even begins. Now, this information will be beneficial to some, but over 400,000 people have been involved in this claims process with 66% of them denied from the get-go, so it would have been far better to have everyone informed from the beginning. 2. In explaining the appeals process, he gave the impression to Congress that people have recourse to their dissatisfaction with the claims process, but this is only true if that recourse actually helps anyone. Whereas the numbers about people who have appealed to the GCCF are hard to come by, as are most details to what the GCCF is doing (hence the complaints about lack of transparency) when people have appealed to the Coast Guard board, the numbers are in. There have been 507 appeals made and so far, 200 have been heard. All have been denied. 3. In bringing up the fact that he has sent 7000 claims to the Justice Department to be prosecuted for fraud, apparently using this as some indirect justification for the slowness of the process, well that doesn’t hold up at all and when you look at the averages in fraud cases after disasters, this also makes the people of the Gulf Coast look exceptionally honest. In any post disaster reparations period, the average amount of fraudulent claims tends to be ten percent, so when Feinberg receives 480,000 claims and he only finds 7,000 of them to be potentially fraudulent, that isn’t even two percent. 4. When it comes to subsistence claims, Feinberg has very little to say, but the numbers speak for themselves. The GCCF has received 16,000 subsistence claims, or claims by people who have been living off their catch more directly through trade within their community, eating their catch…etc. Of the 16,000 claims, the GCCF has paid only fifteen. 5. When it comes to the quick payment, much can be said. Feinberg’s stated plan for the quick payment was to clear the rolls of people who would have a hard time proving further loss by giving individuals $5000 dollars and business $25,000 dollars to essentially sign away all their rights and go away. Sen. Vitter expressed his concern that this is what is gumming up the works and keeping the people hardest hit by the oil spill from getting their claims paid. Okay, true and Feinberg almost acknowledged it in saying “I agree, commercial fishermen, shrimpers, have waited too long for the final payments and interim payments.” But what appears to left out of this is that while Vitter and Feinberg were congratulating the process and trying to deflect criticism that people are not taking the quick pay out of desperation, generally, the estimate of the people who shouldn’t and have taken quick payments is 3,000 claims. Three thousand people, many of them with families who have taken the quick money because they quite possibly were feeling desperate, because they saw no other choice, three thousand people who quite possibly felt the need to take this claim because of the slowness in the entire GCCF claims process. No matter how you look at it, that is simply three thousand people too many. Period. 6. Finally, it would appear that nobody wanted to talk too much about the fact that all these people accepting quick payment claims and those who will accept final payment are signing away their rights to sue British Petroleum and a hundred other companies. Again, forcing people to make a present day decision based on unknown futures, when their culture, their professions, and due to the ongoing sickness in the Gulf, their very lives may be at stake is simply wrong. It only benefits British Petroleum for them to do so, and British Petroleum is the primary cause of this entire mess…so why do they get the free pass, while everybody else has to take the risk of being screwed in the future? When will somebody in the GCCF, or Congress, or the White House finally answer that question? And on another note, when Sen. Charles Schumer recommended for some inexplicable reason that Feinberg should be put in charge of the new 9/11 first responders compensation fund, Sen. Vitter tried to get Feinberg to pre-emptively turn it down, lest it take away his focus from the Gulf of Mexico, Feinberg said he wouldn’t rule it out. It’s good to be the king. God help ya, New York.